This page is devoted to 3ds Max tutorials. It will contain future freeware tools and tutorials covering basic to advance material. 10/17/96 This tutorial shows how to use Surface Tools' CrossSection modifier to create a dust pan. It demonstrates how you can CrossSection different shaped cross sections. 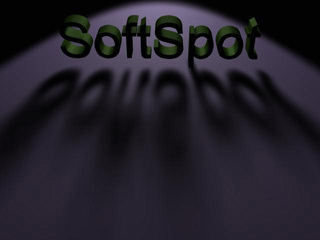 10/25/97 This tutorial shows how to use mulitple spot lights to fake soft shadow lights. 10/27/97 This tutorial shows how to use scene motion blur to fake soft shadow lights. 10/17/96 This tutorial shows how to use MeshSmooth modifier along with face extrusion to turn a box into a simple hand quickly. 4/19/97 This tutorial shows how to use MeshSmooth 1.1 modifier to work on the mesh cage and see the results in realtime. 6/15/96 This tutorial shows how to use Surface Tools' to create a head. Thanks to Adam Silverthorne for providing it. 6/16/96 Some sample images of a goblin head created with 3ds MAX with an AVI showing some simple lip sync. Also a how to article in Word DOC format describing how I built the goblin head mesh.